City & Estate Gardener believes your landscape should be enjoyed and always looking it’s best. 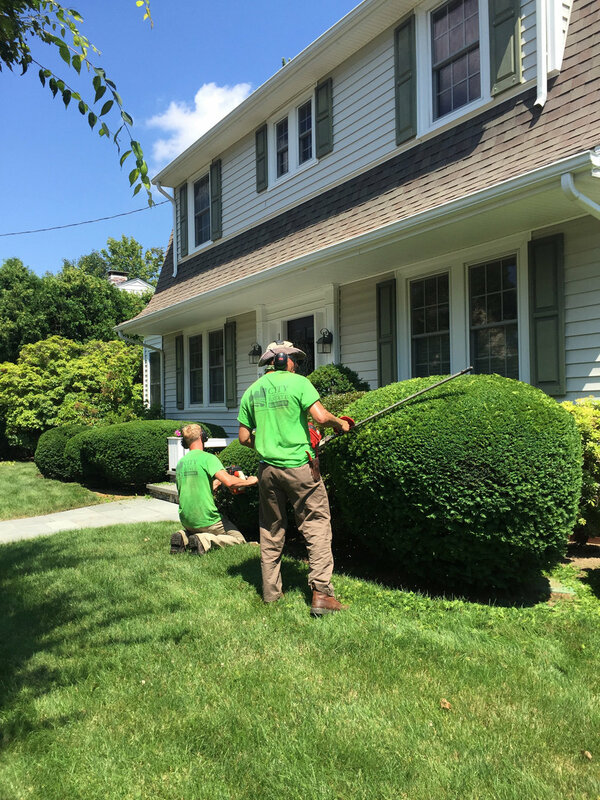 Therefore we provide our clients with full service landscape maintenance from landscape professionals. We take into account each properties’ needs to ensure outstanding results all season long. To ensure optimal beauty and care of your property we recommended the following minimum services to our City & Estate Gardener clients. In the falls lawns can benefit from aeration and overseeding to reduce compaction, improve air and water movement in the soil and to rejuvenate the lawn. There are nearly as many garden styles as there are words to describe them. Formal, Japanese, Woodland, Container and Cottage Gardens to name a few. City & Estate Gardener wants to achieve the look and feel you desire to accentuate and compliment your garden style. 1 – 3 visits as needed from late October until mid-December for Leaf and debris removal from lawn, garden beds and hardscapes. 1 – 3” of mulch is recommended for garden beds to control weeds, moderate soil temperatures and control soil moisture. Trees and shrubs are susceptible to insects and diseases. City & Estate Gardener can inspect trees and shrubs for insect infestation and disease that can be detrimental to the health of the plants. Proper watering of your landscape can help keep you property looking great. Trees enhance the overall beauty or your home and it’s important to maintain them with pruning. Pruning benefits the trees for their health. 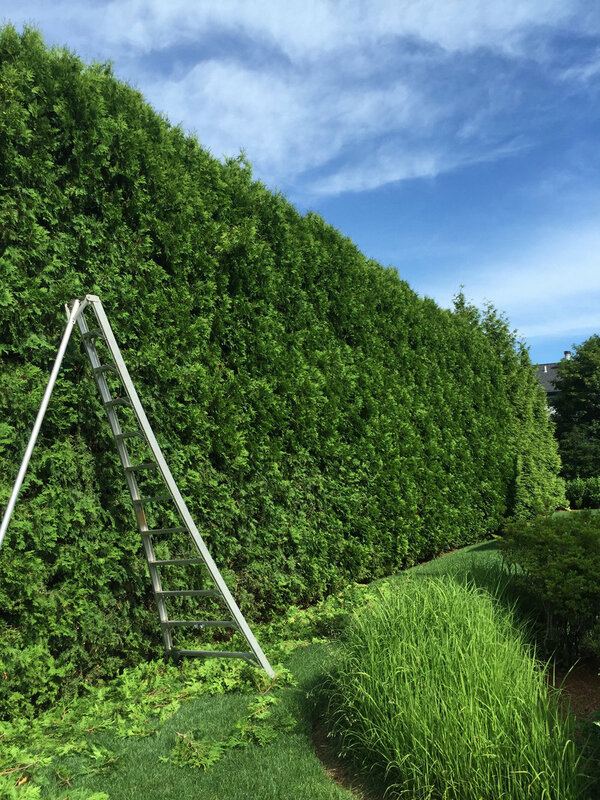 Pruning can help prevent safety issues. 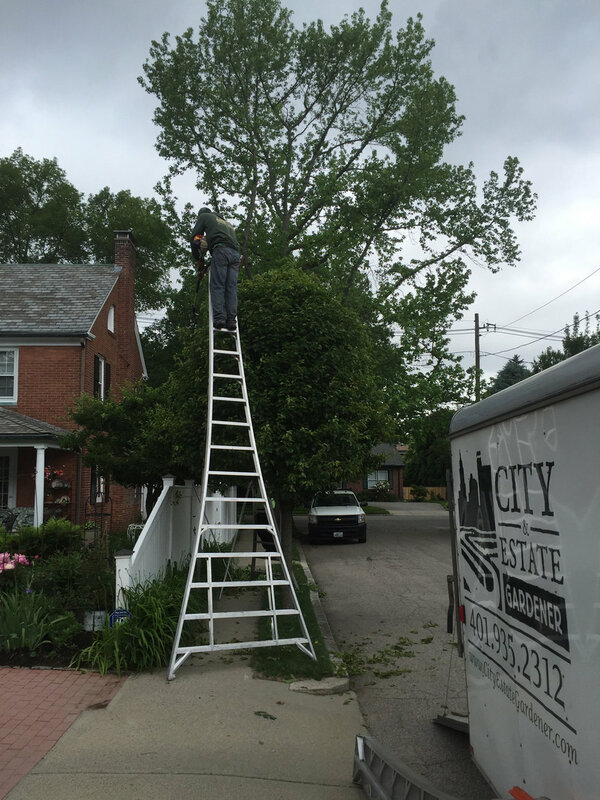 City & Estate Gardener can access the condition of your trees. Visits include - lawn mowing, trimming of lawn edges, a general hard surface blow to remove and pick up debris on a weekly basis or as necessary to maintain a neat and clean appearance.